Bourbon is the mainstay of Kentucky. It goes into everything. I’m travelling onwards laden with recipes that call for a drop or two or seven of this elixir and cannot wait to try to duplicate RB’s gobsmackingly gorgeous bourbon baked beans. But perhaps the best of all so far has been the bourbon beer – and I’m not one for the beer usually. It’s simply ale aged in old bourbon barrels. Someone was thinking outside the box. On a Sunday morning on Nolin (pronounced as two words No/Lin) Lake, we had the place to ourselves as Saturday night’s partiers slept off their hangovers. If the music the night before was any indication, they’d be sleeping till noon. 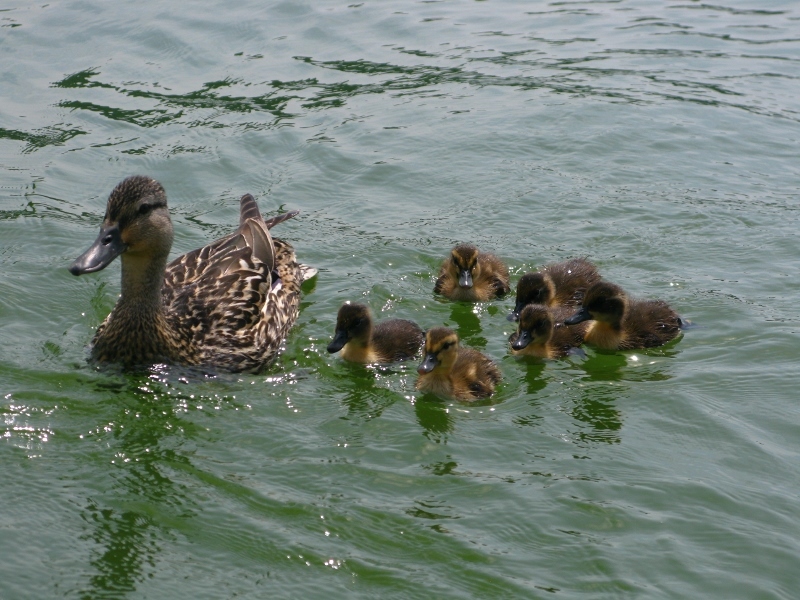 Apart from a few water-skiiers, a family of ducks, and the occasional heron, it was just the four of us. Good company indeed. 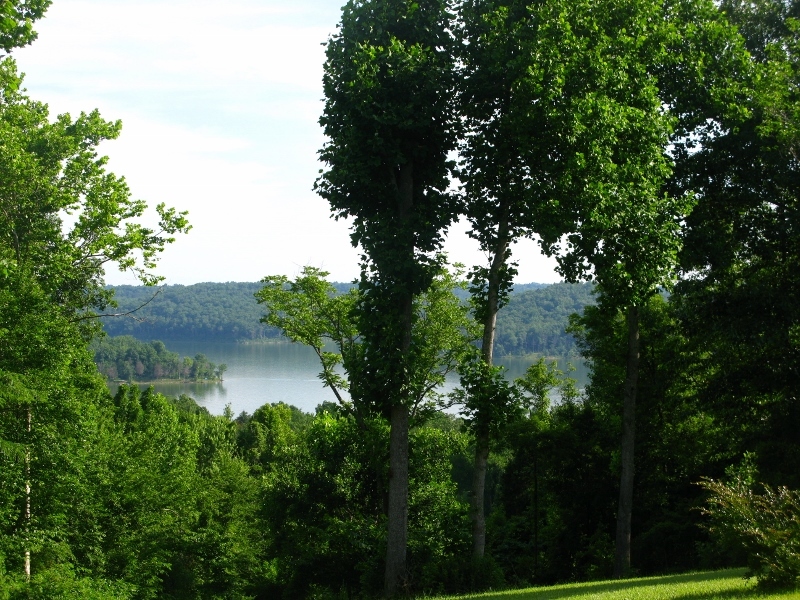 Situated inside Nolin Lake State Park, the lake itself was created as a flo0d-control back in the early 1960s. 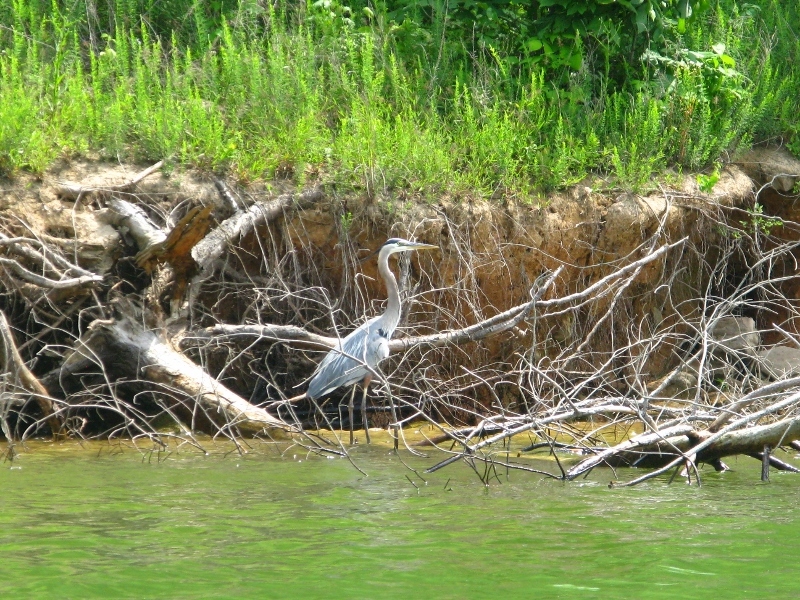 Its 5795 acres are well-suited to fishing bass, catfish, crappie, and walleye and its shores are littered with campgrounds both serviced and primitive.It’s a feat of engineering that has paid for itself in flood damage savings: – $82 million – versus an original cost of $14.5 million. Would that all public works were so profitable. Right next door, sits Mammoth Cave, the largest explored cave system in the world. Discovered way back in the 1700s, its 340 miles of known passageways have fascinated millions of visitors for years. 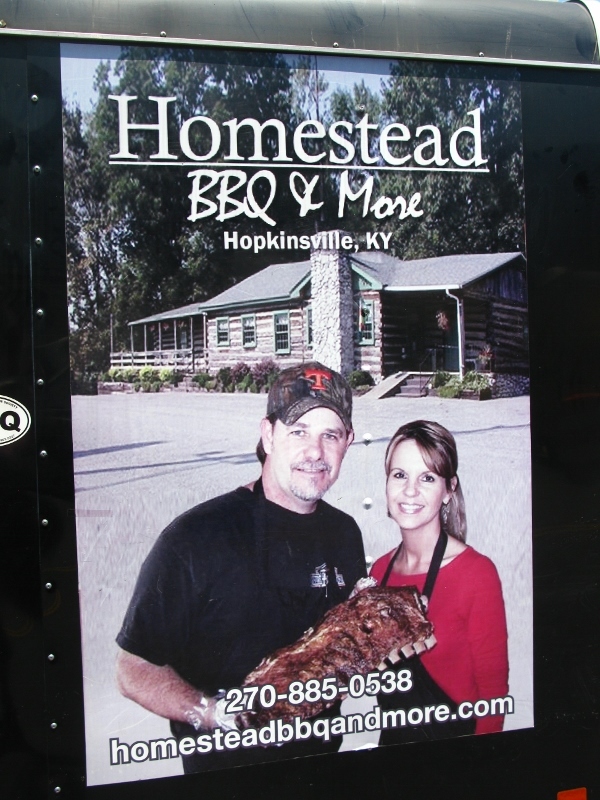 To those who asked why were were stopping off in Kentucky, this is why! Few things come close to spending a few hours boating on a lake with some blues playing the background and some (illegal) bourbon beer on side. Illegal? Yes. 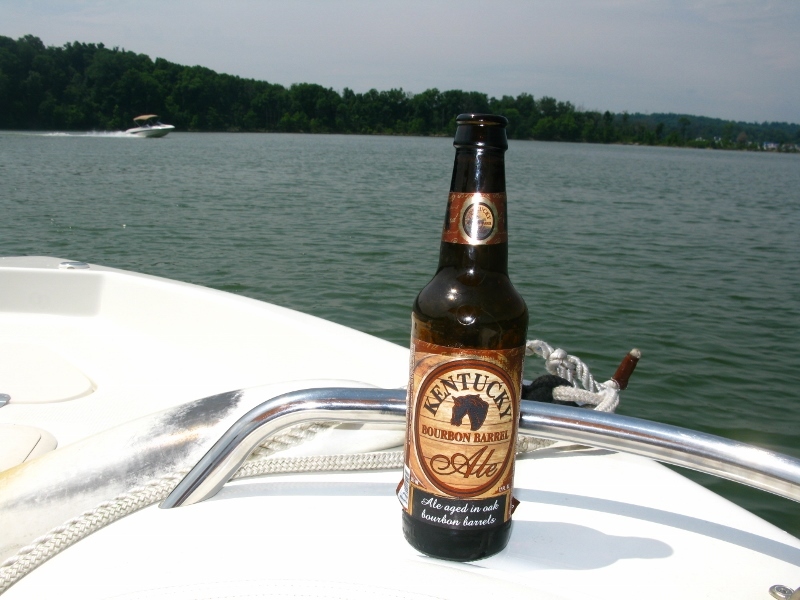 Alcohol is forbidden on all Kentucky water. And this is a state where you can’t dye a duck and sell it unless you’re selling six of them (I kid you not!). And one in which dogs are forbidden to molest passing cars. You gotta love America. I like to go mass each Sunday and when in Budapest, do so religiously. Even when I travel I try to find a Catholic church and do my duty. But on occasion this proves impossible. Last Sunday, the only churches for miles were Southern Baptist, save for two others that were Methodist. I could have gone to either yet neither appealed without someone alongside me to explain what was going on. The Church tells me that on occasions such as this, I should devote some time to prayer and reflection. Have my own mass, as it were. I prefer to find a substitute – a cemetery. 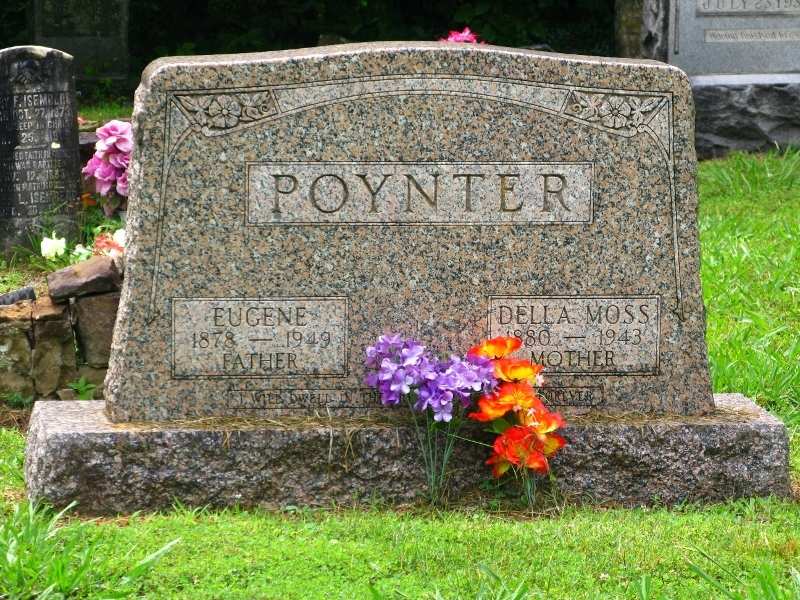 Regular readers will know that I have a fondness for cemeteries and coincidentally, there are a lot of dead people in Kentucky. 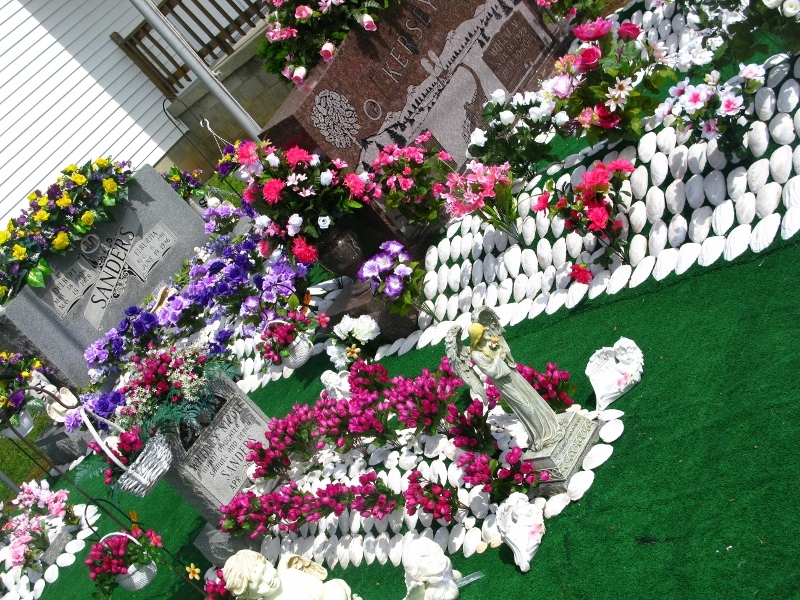 Take the graveyard at the Hill Grove Missionary Baptist Church where the graves are adorned with mussel shells (a practice that has since been discouraged). 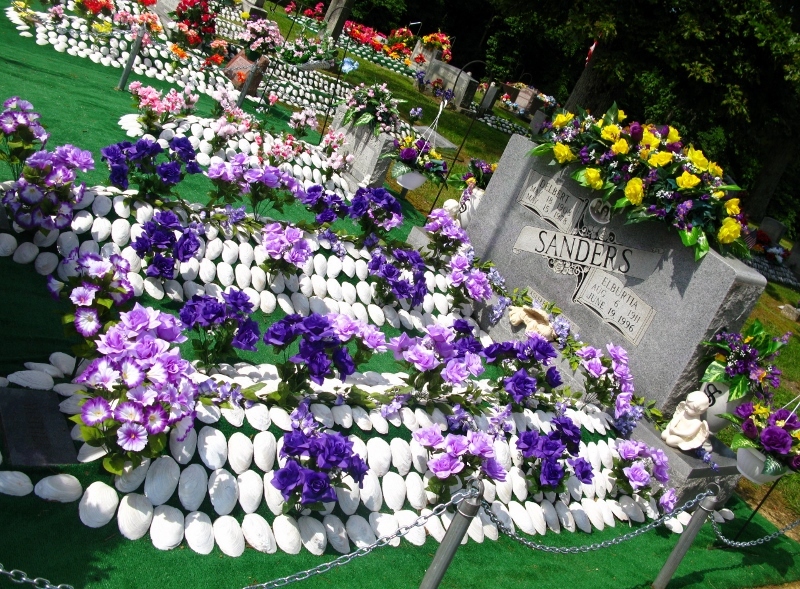 Each grave is carpeted in green felt on top of which the shells are arranged. 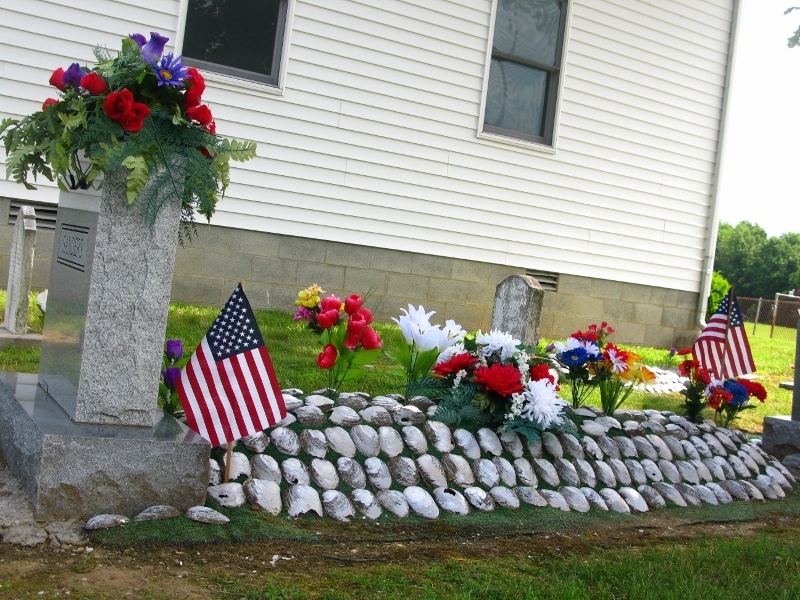 It used to be that the graves were decorated on major holidays but now, in this particular cemetery, the adornment is year round. 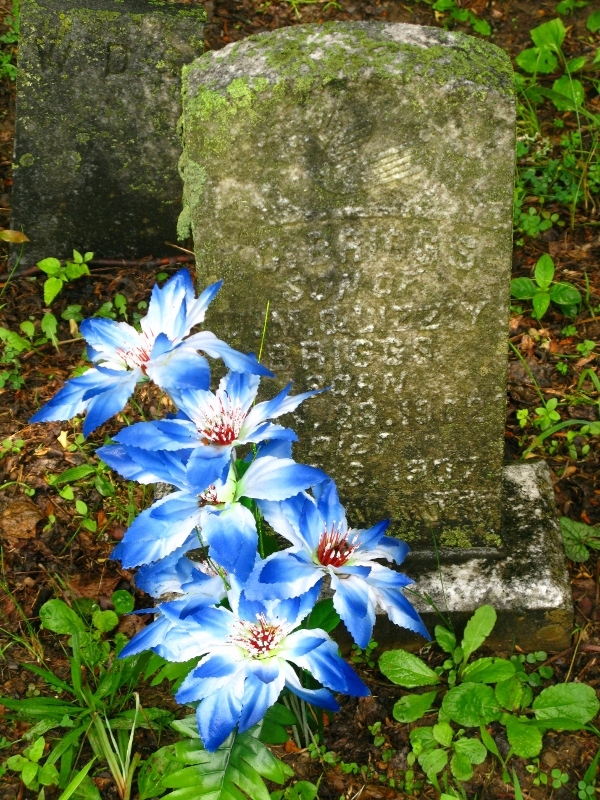 It’s a blaze of colour and interestingly, while many of the tombstones were old and nearly illegible, the graves were all well-tended. I would imagine that even if those interred had no living relatives in the area, someone would make sure that the grave was kept. That’s the Kentucky way. Pride in appearance is noticeable even in how manicured the front yards are and I’d imagine that stepping out of line with the weed-whacker or failing to trim those hedges would bring down the wrath of the neighbourhood. Brings a whole new meaning to keeping up with the Joneses. 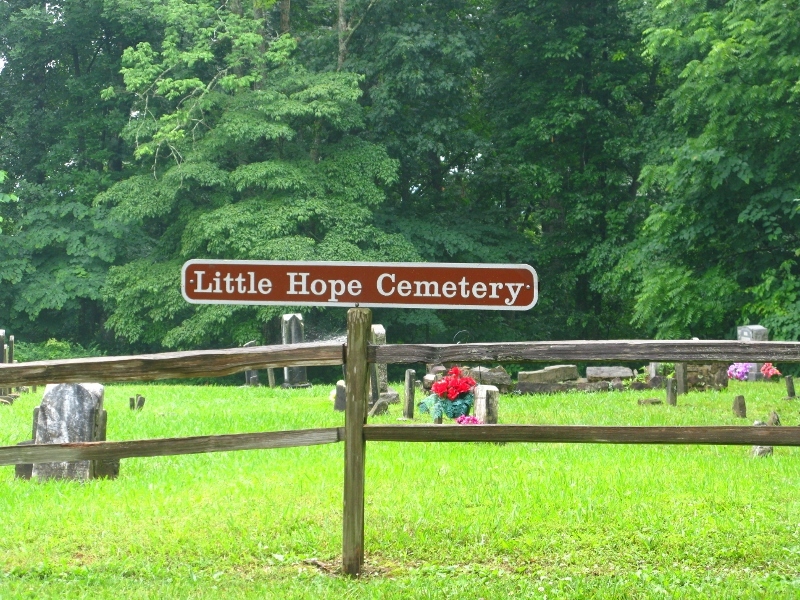 ad a little sits the Little Hope Cemetery. I had to laugh, if somewhat irreverently, at that one. Perhaps Great Hope might have been more appropriate, given that residents are facing eternal life. What struck me about this one was that it’s the first time I’ve seen tombstones so clearly label the family. Mother, Father, Son, Daughter, each one has its tag. Most peculiar. Add this to the great age some of the residents lived to, given that life back in the 1800s wasn’t nearly as conducive to longevity. 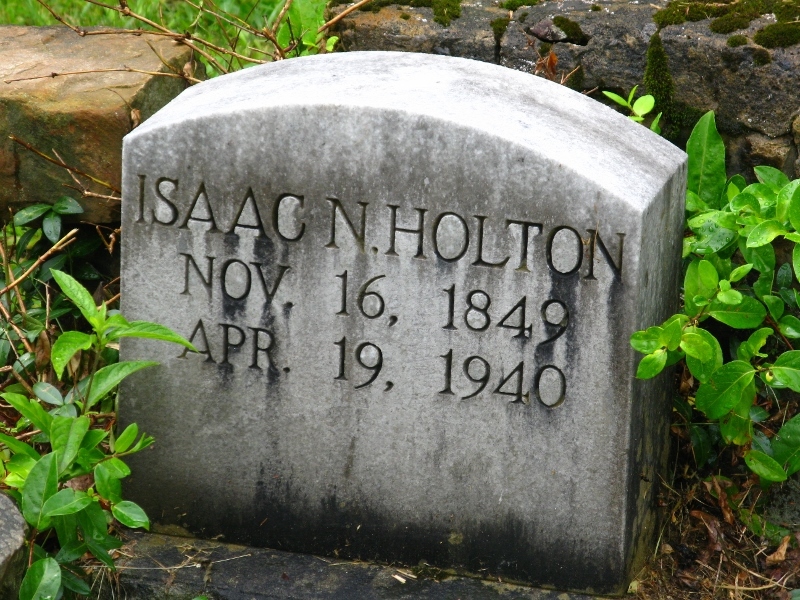 One tombstone even wrote out the specifics of the life that had been lived: 59 years, 9 mths, 29 days. Another successful Sunday. The holy souls were prayed for; more than a few should have been released from purgatory. And my duties were discharged. 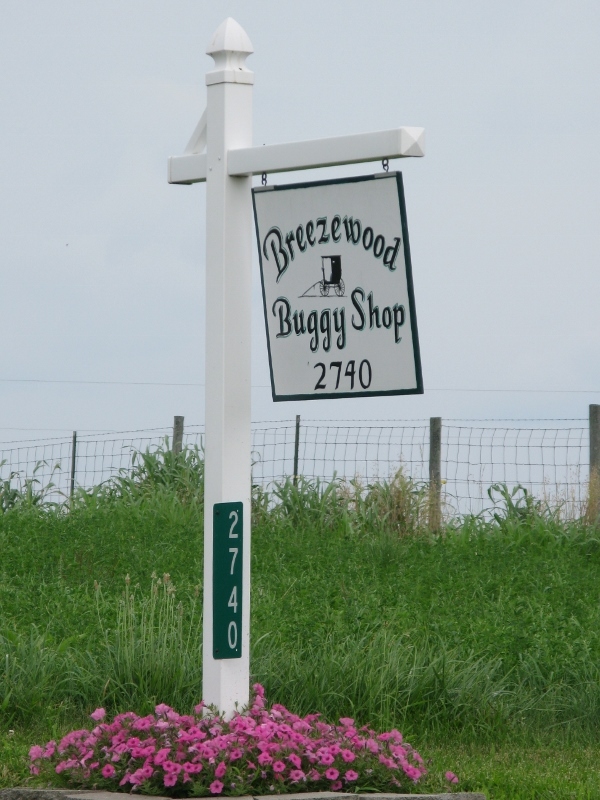 When driving through parts of Kentucky, it’s not deer you need to keep an eye on but the Amish and their buggies. One of the Anabaptist denominations (which also includes Mennonites and Hutterites) the Amish are a breakaway group formed in 1693 by Jakob Amman, who figured that the Swiss Mennonites weren’t nearly as strict as they should be in their shunning of society. 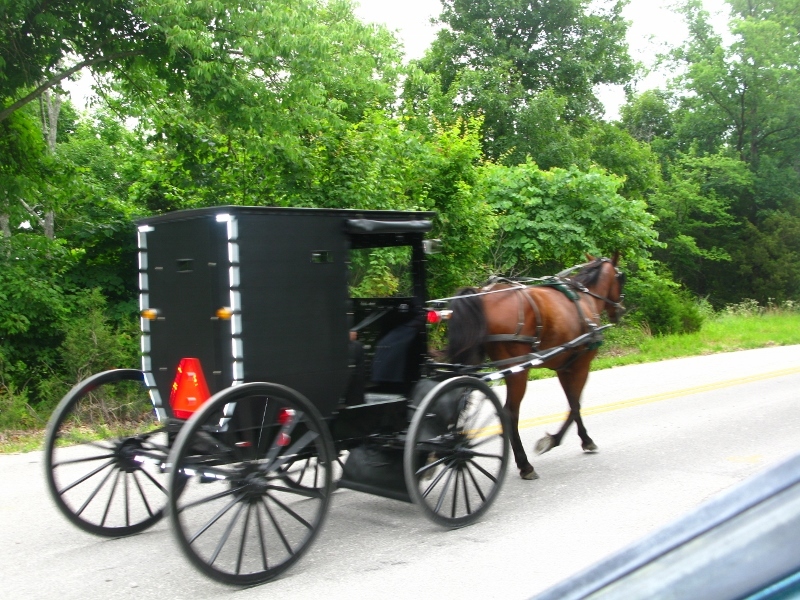 The Amish began to emigrate to the USA in the eighteenth century and have since split into ‘new order’ and ‘old order’, the former accepting social change and technology, the latter holding fast to traditional ways. What stands them apart from Protestantism is the idea of adult baptism. Young people get to spend a year with ‘the English’ before deciding whether or not to join the Amish community through baptism. What stands them apart from American society at large is a reluctance to be forward, self-promoting, or to assert oneself in any way.Their group norms is largely at odds with the individualism that is central to American culture. They don’t have churches but instead rotate between families who open their homes and barns to the local congregation (generally of a house-able size of 75).They don’t play musical instruments (considered worldly and vain) but they do sing but in unison, though never in harmony. Everyday life is governed by the Ordnung, an unwritten code of behaviour which is largely interpreted and enforced by the Bishop. It covers everything from child bearing to what they wear, from how they work to how they spend their weekends. Not ones to sit idly by when someone breaks the rules, the Amish are known for their practice of shunning: An Amish person may be shunned for a variety of offenses, ranging from major moral offenses to using improper technology. 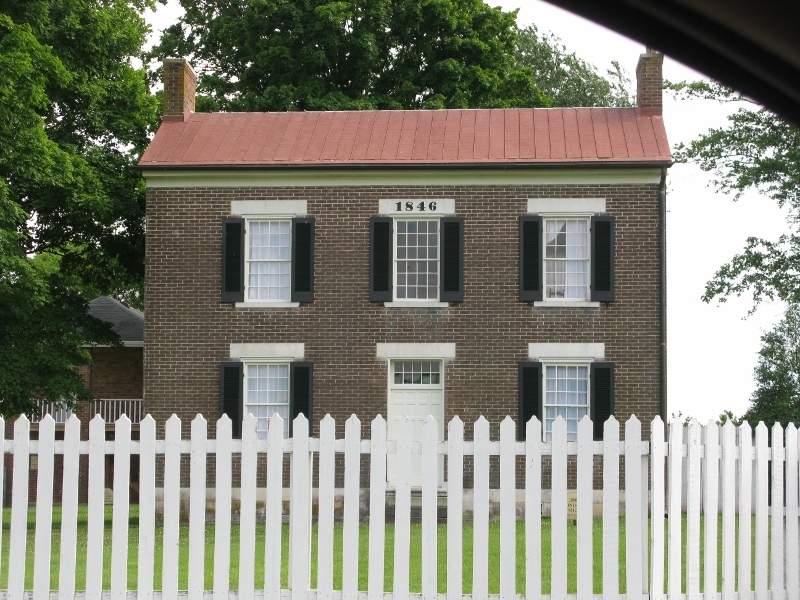 In accordance with the teachings of Jakob Amman, an Amish person in good standing may not buy from, sell to, eat with or sleep with a shunned person, even if the person is one’s spouse or close relative. For the Old order, The use of electricity is a no-no. It’s seen as the main connection to the outside world, a world full of temptation. They do have washing-machines and other ‘white goods’ that are run on propane, though. 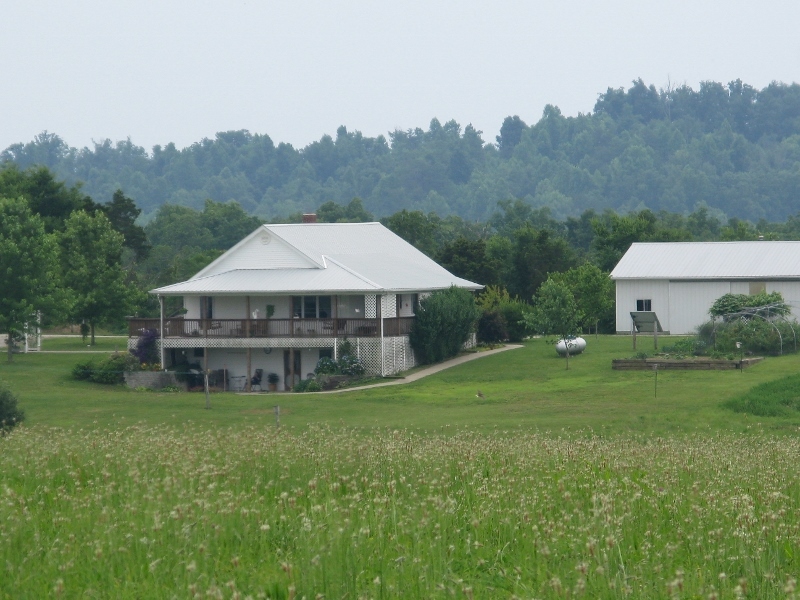 And one way to spot an Amish house is to find a plain house, painted in white, with a barn, and no electricity lines. The list of rules would appear endless. Men must grow beards when they marry but should never have a mustache. All clothes are made at home, with no zippers. The women never cut their hair and jewelry of any kind is forbidden. There’s little problem taking photos of how they live but they don’t like photos being taken of themselves, believing that photos are graven images and thus violate the second commandment. On this note, their dolls are traditionally faceless. Set apart from the rest of the country, the Amish don’t vote or serve in the military. They don’t have social security or other types of insurance. And any sports they play are for enjoyment – competitive spirits should be kept at bay. An interesting way of life. But not nearly as interesting perhaps as the Shakers. We went to see the Shaker museum at South Union and I am still reeling a little at what those lads got up to… or didn’t, as the case may be. 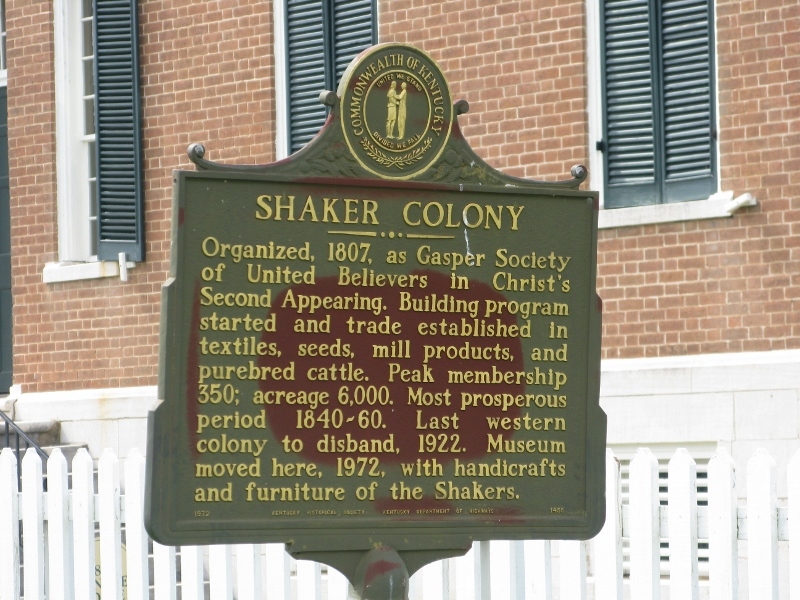 Known as the United Society of Believers in Christ’s Second Appearing, referred to as the shakers because of their ecstatic dancing, they were celibate: they did not marry or bear children so one has to wonder who they lasted for 200 years and are still going today (one small community left in Maine). In something reminiscent of Jesus calling on his disciples to leave all their worldly goods and follow him, the Shakers left it all behind – family, property, and money – to join ‘holy families‘ where men and women lived as brother and sister, where all property was held in common, and where each participated in the rigorous daily task of transforming the earth into heaven. Founded by an illiterate English factory worker named Ann Lee, Mother Lee send eight pilgrims to America in 1774 to spread her gospel in the New World. Her followers believed her to be the second coming of Christ. In 1787, coinciding with the signing of the American Constitution, Shaker women were officially bestowed with equal rights. Before the emancipation of the South, the Shakers freed their slaves and bought others out. Their inventions are still in use today: the clothespin and the circular saw…. and they were, apparently, the first to put seeds into printed paper packets to sell! Way ahead of their time,the New Hampshire Shakers had rigged up electricity in their village while the state capital building was still burning gas. Amazing what you learn when you visit Kentucky. Henderson, Kentucky, sits on the banks of the Ohio River, right across from the state of Indiana. Back in the late 1700s, one Colonel Henderson and his cronies purchased 17 000 000 acres of land from the Cherokee Indians under the Treaty of Watauga. The Virginia State Legislature voided this deal and, in return for the original $50 000 that Henderson et al. had forked over, they received a plot of 200 000 acres. What Henderson hadn’t realised (or perhaps ignored) was that purchase of land from Native Americans was the purview of the government (the British, the governments of Virginia and North Carolina and, later, the United States, all forbade private purchase of land from Indians). In his autobiography, he says: I didn’t write any songs in Henderson, but it was there I realized that experiences I had had, things I had seen and heard could be set down in a kind of music characteristic of my race. There I learned to appreciate the music of my people . 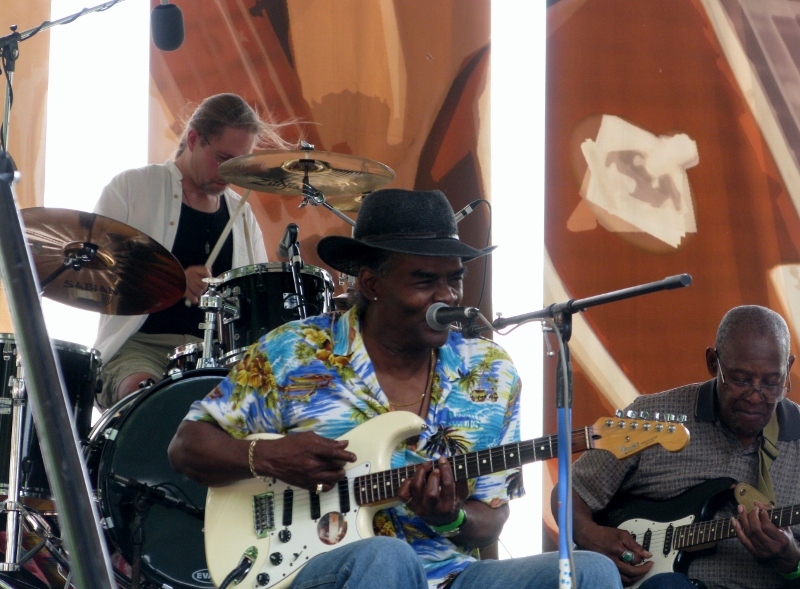 then the blues were born, because from that day on, I started thinking about putting my own experience down in that particular kind of music. 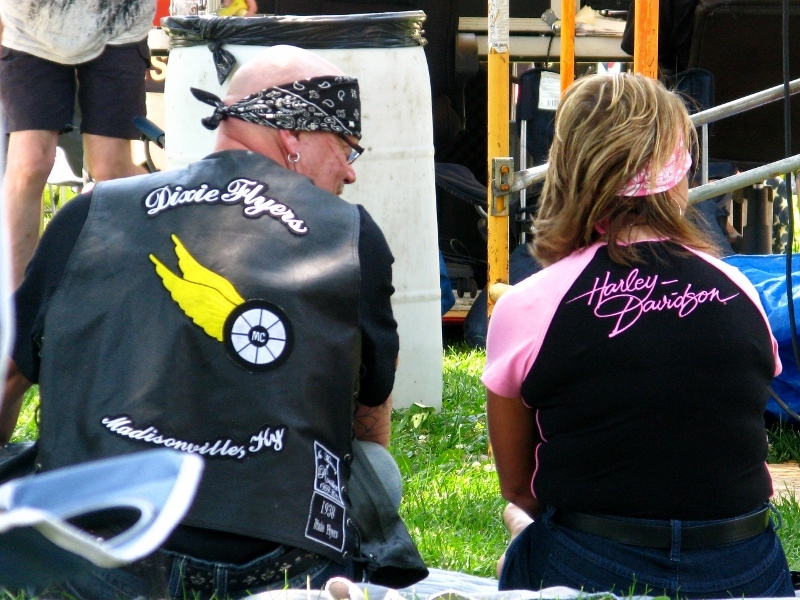 The week-long festival is run by the Henderson Music Preservation Society, Inc., a non-profit organisation, and attracts up to 50 000 people. This year, the visitor who had travelled furthest to get there was none other than yours truly. I won a vintage T-shirt and the subsequent interview with the local newspaper has shaved a couple of minutes off my allotted 15 minutes of fame. I await the headlines with anticipation. The line-up included Bill Howl-N-Mad Perry, Joanne Shaw Taylor (with Blues Caravan 2013), and a new favourite of mine, CJ Wilder. And that was just the afternoon we hit Henderson. Two things struck me: one was the sheer diversity of the audience. Everything from twinsets and pearls to biker jackets and bandanas. Every age, size, colour, creed was visible. And as people filed in with their collapsible chairs, the sheer innovativeness of the American Leisure Industry was apparent. Some deckchairs had footrests, others had rockers; all had the perquisite cup-holder. 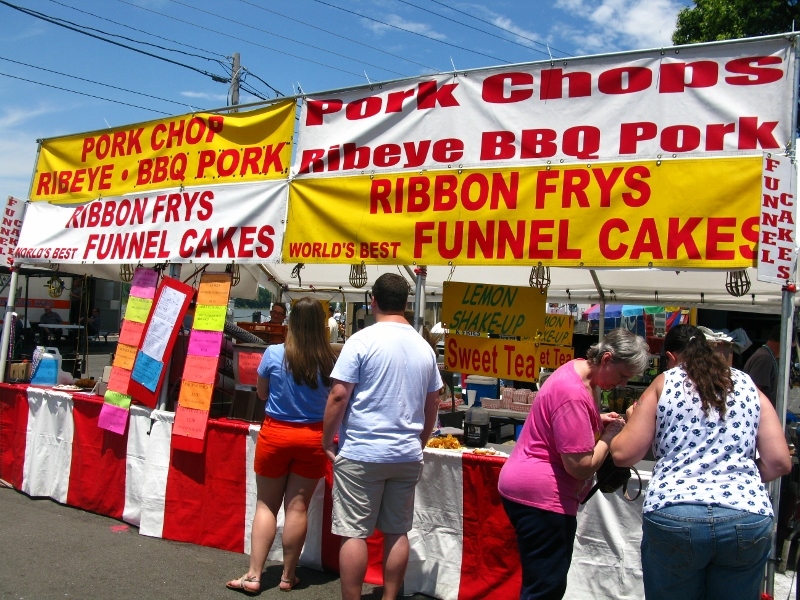 Alcohol was contained to the bar tents, even though Henderson is not one of the 50 dry counties in Kentucky (where the sale of alcohol is forbidden or restricted). And admittedly, having a drinking area along the lines of a smoking area, took some getting used to. While European festival-goers might prefer beer with their music, this one focused more on food. Fried food. Good ole southern BBQ. There was even a Raspberry Cheesecake Springroll on offer at the one Asian stand and a lone Greek stand didn’t fare too well, sandwiched as it was between one selling mutton BBQ and another selling ribs. Yes, you read that right. 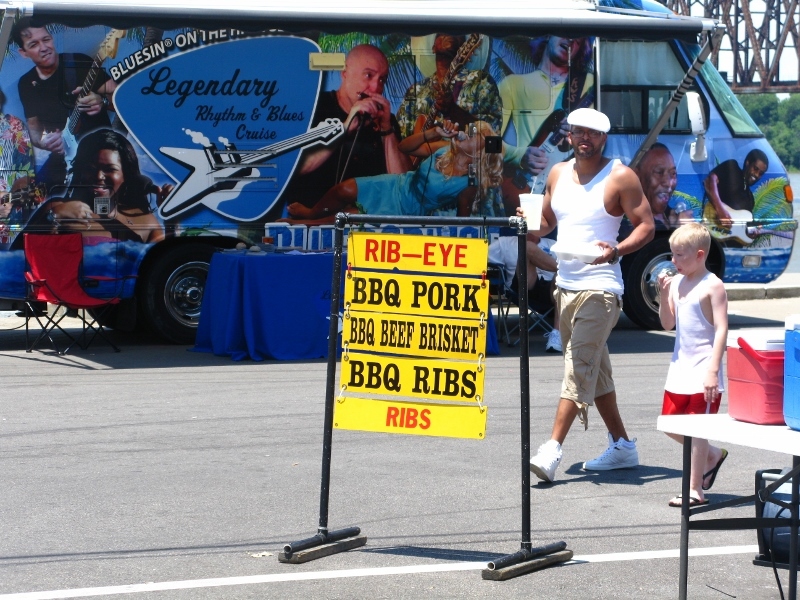 The second thing that struck me was that down south, in this area anyway, BBQ meat is mutton! Ye gods! BBQ’d lamb, yes. But mutton? 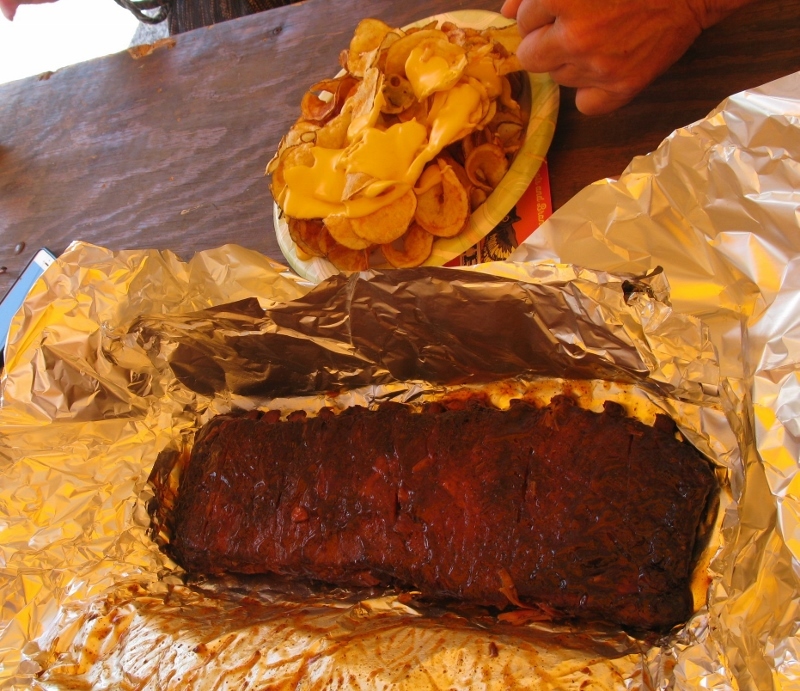 I couldn’t bring myself to try it so we opted for the potato rose (home-made potato chips smothered in cheese) and a rack of pork ribs cooked up by Tim and Barb, which literally disintegrated on touch. Maybe it was the blues that kept things calm. Maybe it was the lack of booze. Maybe that’s just the way things are in the South – laid back and chilled. There was no aggravation, no rowdiness, nothing other than good cheer and sunshine. As we collected our things to leave, and made our way through the masses, I was peppered by Hi Mary! and Hey, Budapest! – and was, once again struck by American hospitality and that instant familiarity that so amused me when I first set foot stateside. Thursday, after an unexpected stopover in Washington DC, I called a mate in Ireland in an attempt to track down another mate in DC. I found both. The conversation was simple. ‘Hi, it’s Mary. Am in DC. Need to cadge a couch for two.’ The reply was simpler. ‘Sure. Here’s the address.’ That it had been five years since we’d last hooked up was irrelevant. That it had been more than a year since we’d spoken didn’t matter. It was as if it had been yesterday and we were simply picking up from where we’d left off. That night I met some of NQ’s mates, he met mine, and new friendships were forged. Fast forward a few hours and we’re in Kentucky enjoying the hospitality of another mate whom I’ve not seen since 2001. We’re in pretty regular e-mail contact so inviting myself to stay wasn’t an issue. When the airports contrived to keep us away, RB said that he’d wondered whether the universe was trying to tell us to stick to e-mail or whether it was deliberately creating a difficult path to paradise. Suffice to say that we’ve arrived – in paradise. Tired, cranky, but otherwise unscathed. 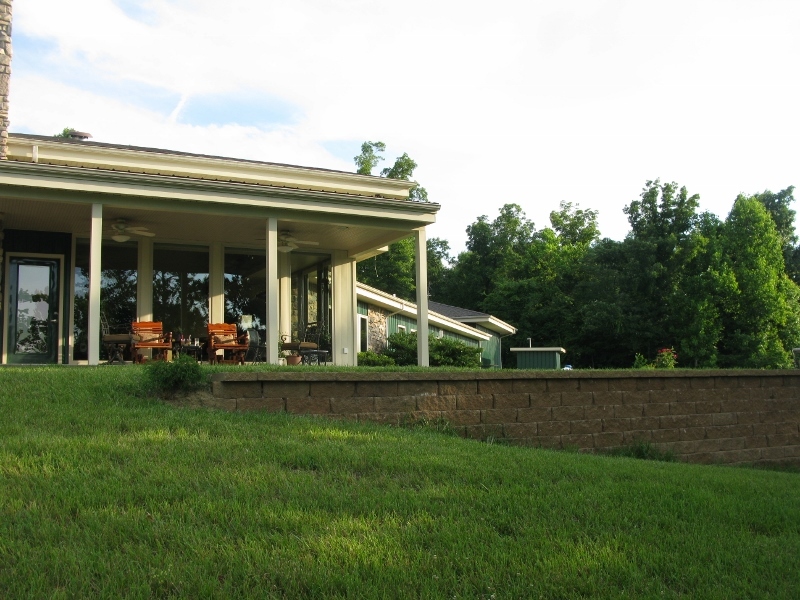 RB’s house sits on 32 acres and overlooks Nolin Lake in Kentucky. 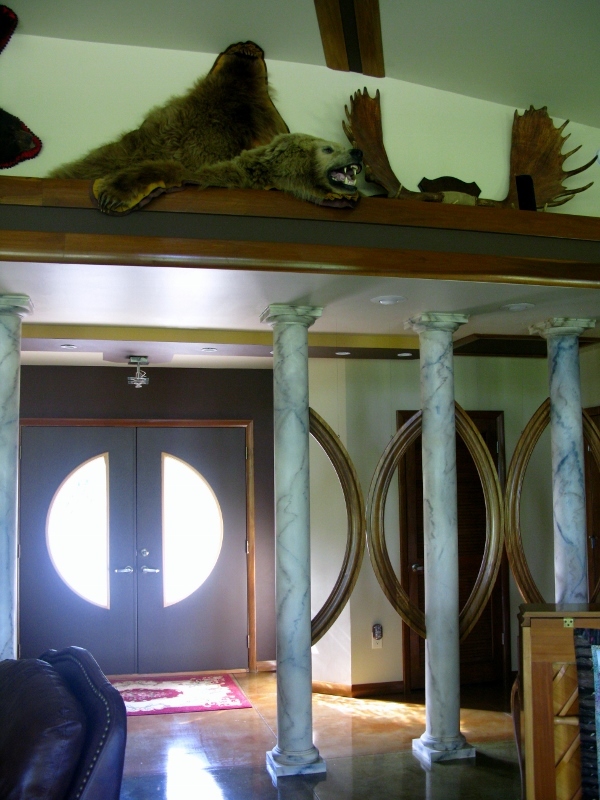 He designed it himself, under the influence of Frank Lloyd Wright, and has unpacked his bottom drawer to great effect. The place is stunning. More than 300 square metres of light, air, views and a fantastic array of Alaskana are replete with the good taste, style, and elegance that so epitomise the man himself. There are houses and there are homes. There is interior design that looks like it has been designed and then there’s that wonderful piecing together of single items that just connect, each one working towards creating a feeling of togetherness. A little like life, methinks, and the variety of friendships that make up a circle of friends and reflect a life well lived. The place is a joy of discovery, a veritable treasure hunt of perspective and taste. My favourite? 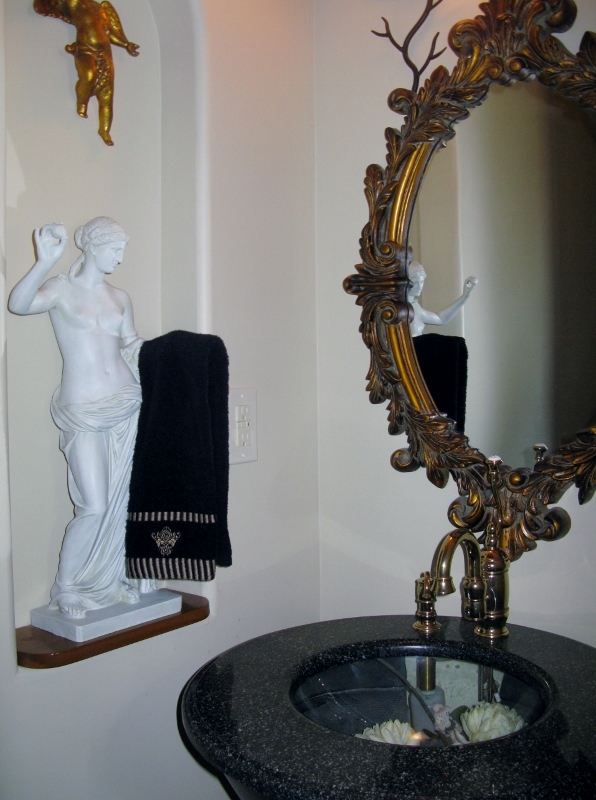 The powder room. I can see a whole new use for statues now. I could even get attached to the bears. 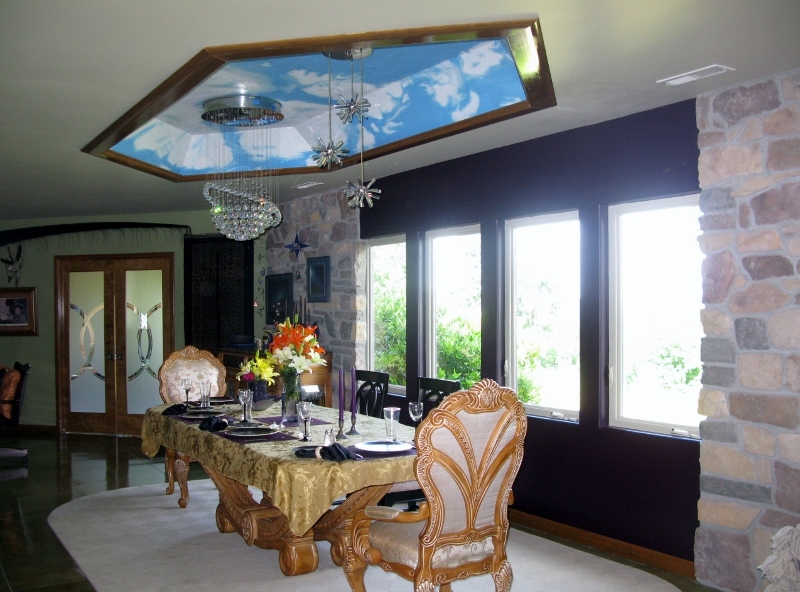 Our homes reflect so much of who we are and what we like; how we live, and how we have lived. Opening them to others to enjoy, too, is a pleasure I know well. I never give much thought to how friends abroad might live until I get there. I never try to imagine what their places look like until I arrive. And then, it somehow all seems to fit. No two are ever the same. 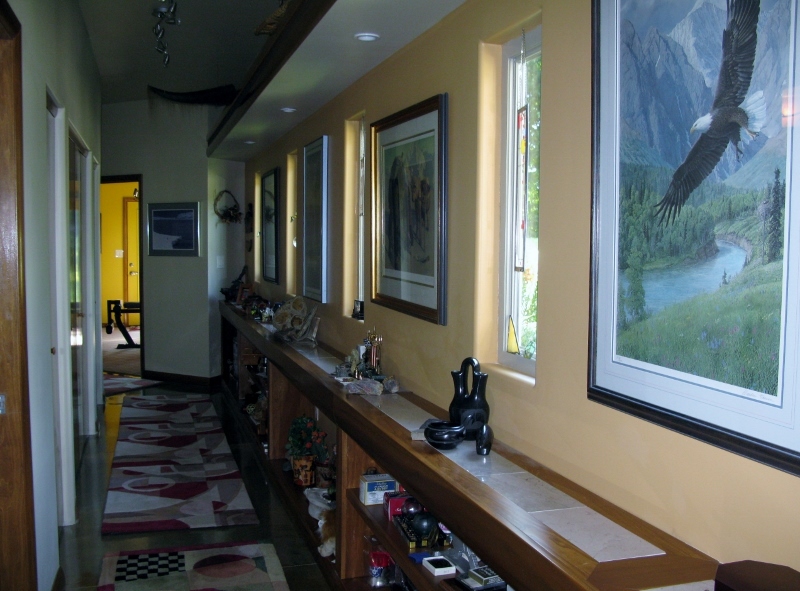 They might share elements that reflect a common past – in my case, both RB and I share Alaska and our respective collections reflects our length of residence. We both have a fondness for chobi carpets, too. And we even have a thing about hall space and galleries. But his space is very much his, as mine is very much mine. This week was often difficult, trying, and downright annoying. It had ups and downs that were poles apart and the ensuing highs and lows kept the adrenaline running. As it draws to a close and I finally get to sip a mint julep on a rocker on the porch overlooking an expanse of water, in the company of good friends, I am truly grateful for the friendships I have made in my travels; for those people who have come into my life for whatever reason … and stayed. I am truly blessed.